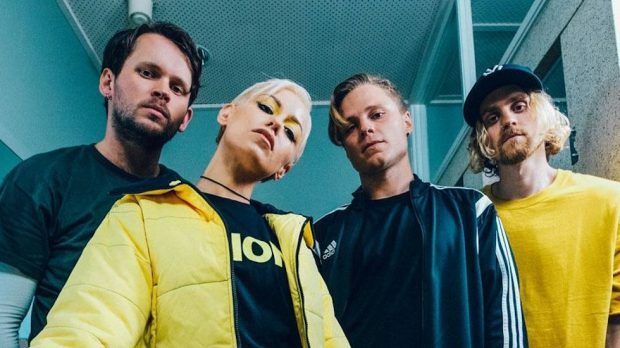 Sydney four-piece Tonight Alive are on the precipice of dropping their brand new album Underworld, and undertaking their world tour, but first they’re kicking off the new year with a bang with a special performance at Tetsuo NC on Friday, January 5. With only two Australian shows on the world tour and both being completely sold out at The Black Rabbit and UNIFY 2018, it’s your chance to catch this high energy and “conscious” Sydney punk outfit before they launch onto the world stage. To enter simply email us here at win@xpressmag.com.au with TONIGHT ALIVE in the subject line then tag the mate you want to take in the X-Press Facebook post! Don’t forget to like the X-Press Facebook page and sign up to the newsletter to be in the running! Competition closes Friday, January 5 at 2pm. Please only enter if you can attend. Winners will be notified by email.